﻿ GOTH « Haikasoru: Space Opera. Dark Fantasy. Hard Science. 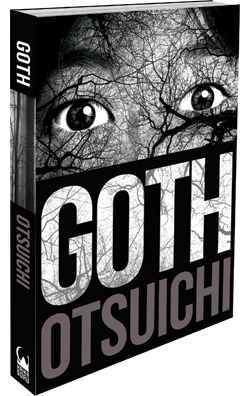 Morino is the strangest girl in school—how could she not be, given her obsession with brutal murders? And there are plenty of murders to grow obsessed with, as the town in which she lives is a magnet for serial killers. She and her schoolmate will go to any length to investigate the murders, even putting their own bodies on the line. And they don’t want to stop the killers—Morino and friend simply want to understand them. This new Haikasoru edition includes the bonus novelette "Morino's Souvenir Photo"! It’s the GOTH giveaway contest! How To Install Mini Security Cameras On Toys? tricksmazeThe prohibition of graven images in the Old Testament is more accurately a prohibition against the worship of idols. To avoid this criticism, those who champion the use of icons draw a line between “worship” and “veneration.” Icon venerators declare that icons are not used with the intent to worship the image itself, but rather to call to mind that which the image expresses. The thinking is this: Though the image is to be treated with respect, this respect does not make it the object of worship. In discussion, proponents frequently liken the icon to the image of a loved one. A drawing or a photo of a loved one is not the actual loved one, but the person enduring a separation from their beloved cherishes the image. The assertion is that the sacred icon similarly causes the bearer to recall the existence of God or the saint—or the vestiges thereof—through the image. The act of taking a photo is one of positioning a symbol into a square frame or one of finding it there. The person with the camera may press the shutter with some vague intention, but in most cases, what they capture is nothing more than a scene of high entropy. Given all the information scattered about in the image, viewers don’t know where to rest their eyes. Thus, the photographer makes sure to control the many disparate elements. They make the illumination brighter or the shadows darker, or they fiddle with the lens and the aperture to blur the background, in line with their own style. Cutting out and framing a piece of the natural world in this way creates all sorts of symbols, symbols which helpfully and clearly tell the viewer what kind of photo they are looking at. I imagine that words are symbols. As long as a person is alive, they have no choice but to use words to infer the intentions of others. And when a person is producing some kind of work, they have no choice but to rely on these same words. There is something that must not be forgotten: the fact that the symbol itself has no intrinsic meaning. It is not the circle or the square that moves people. These objects are only symbols and have no greater meaning in and of themselves. To have faith in the object is the same as worshipping the image. In many religions, the worship of images is forbidden. People likely learned this from years of experience. God cannot be drawn or sculpted. The moment it is drawn, it is no longer god; the moment it is sculpted, god becomes a fake. The moment it is expressed, its divinity peels away and recedes from its true nature. Which is why all personages drawn in pictures are a compromise between god and human, like Christ or Mary—you rarely see God, the father of Christ himself, depicted in icons. The sole reason for this is that the expressive possibility for Christ and Mary is as symbols indicating that they themselves are in the presence of God. A symbol is a fixed concept. However, its true weight is in the context hidden in the gap between symbol and object, the world on the other side of the symbol. Emotion, the ability to move someone, is not a part of the symbol itself. Which is why when I take photos, I do everything I can to eliminate symbolic elements. But there are limits to what I can control, and nothing ever goes the way I expect. What troubles me most is the subject of the photo. On December 6, I killed a girl.